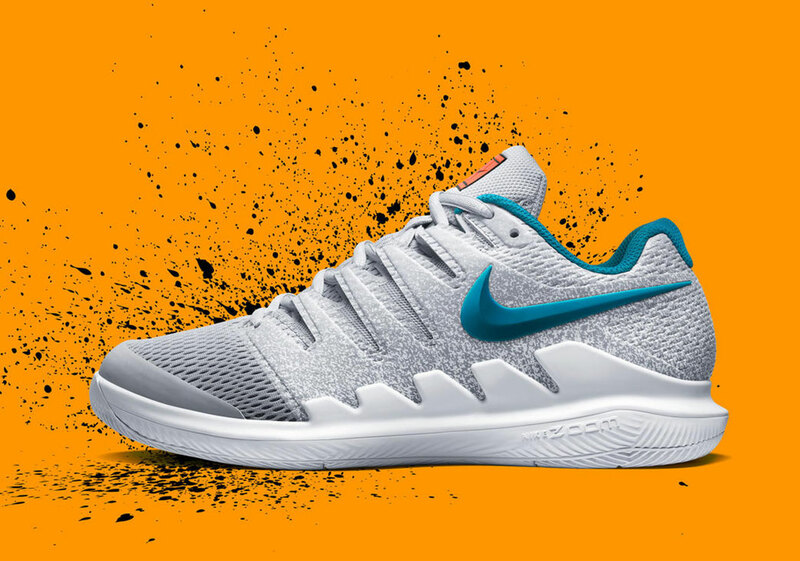 Inspired by the bright and colorful style of 90’s tennis and the “Clay” colorway first seen on Andre Agassi’s legendary Air Tech Challenge 2, Nike has unveiled a three-shoe “Fresh Pack” to be worn by their NikeCourt athletes throughout this summer’s European clay tennis season. Consisting of an Air Zoom Vapor X, Air Zoom Cage 3, and Air Zoom Ultra React, the pack features loud highlights and bold branding throughout. 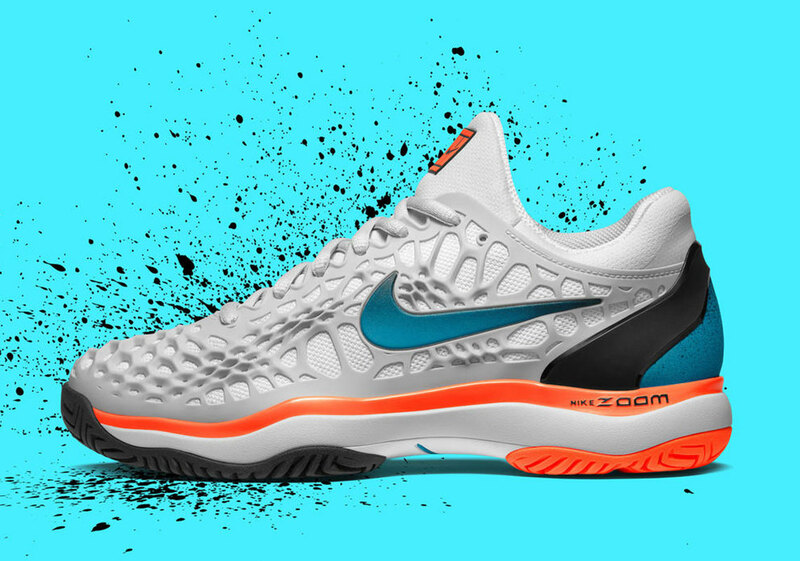 The Air Zoom Vapor X is the most toned-down of the pack, featuring a grey speckled upper with teal and orange accents, while the Zoom Cage 3 features a grey webbing on the upper with orange and blue hits on the heel, midsole, and outsole. 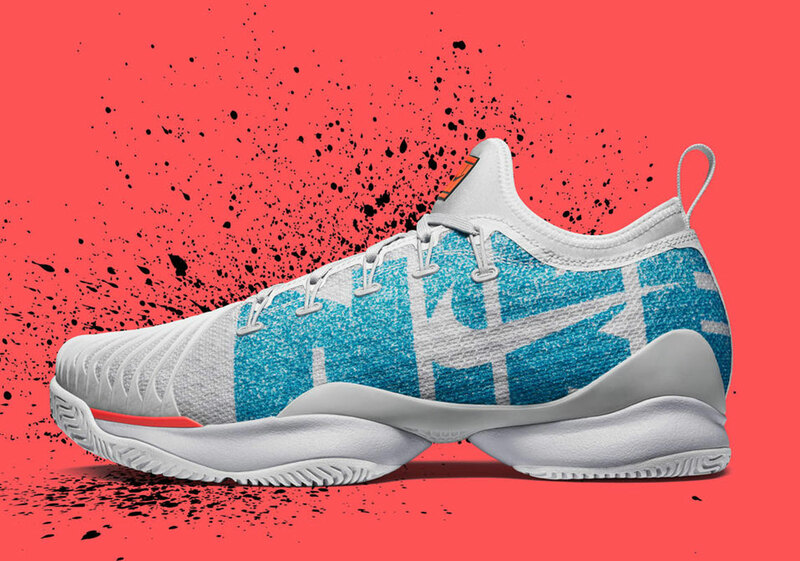 Finally, the Zoom Ultra React features a mostly white design with bold blue “NIKE” branding adorning the upper. All three “Fresh Pack” colorways are women’s-only and will release alongside yet-to-be announced men’s colorways of the same silhouettes on Nike.com April 3rd. In other Nike Tennis news, check out Roger Federer’s recent visit to Nike Miami for the release of his “Greedy” Vapor RF.